Given that 100 per cent of us will die, how odd it is that we behave as if death doesn’t exist! This month we have another guest blogger. Jane Duncan Rogers of Before I Go Solutions offers a unique and refreshing outlook on a topic that most of us find tricky to handle. John, who was grieving the sudden loss of his mother, found himself simply unable to shed a tear. His way of coping was to go back to work almost immediately, where he behaved as if nothing had happened. He took a day off for the funeral, and even there, where he considered crying would be acceptable, he was full of emotion but unable to let it out. As time progressed, he found himself feeling guilty for not crying, on top of everything else. His mother had not left a will, and with a complex series of properties, he had a lot of extra work on his plate to take care of all the administration. At work, he became quieter and quieter, until one day about 6 months later, he uncharacteristically shouted at a colleague who had pointed out a series of costly errors he had made. The HR manager was eventually brought in to assist in the situation, and it was only then that John was able to make the connection between his grief for his mother and his performance at work. He was recommended to see a counsellor and given time off from work to do so. He slowly began to come to terms with his loss this way, and found himself able to adjust. This true story (identifying details changed) is not unusual in the workplace. But why is it unusual, in a world where talking about dying, death or grief is viewed as somehow abnormal; where if you dare mention the ‘d-word’, colleagues look shocked; where bursting into tears, even in a family situation, can make others feel awkward? Given that 100 per cent of us will die, how odd it is that we behave as if death doesn’t exist! How sad that we blunder around, aware we need to be available to our grieving work colleague, but finding ourselves unable to be fully present for her. How very poignant is the empty desk, where once your office companion sat, and whose work you now have to take on (if only temporarily). How can anyone talk about this kind of thing at home, let alone at work? It is time to bring death out of hiding and to face up to what will one day happen to us all, and which affects us at home AND at work. The impact of grief has not been studied in the UK, but in the USA research has shown that 85% of management level decision makers indicated their decision making ranked from very poor to fair in the weeks or months following the grief incident. This statistic alone behooves us to understand far more about how grief affects people at work, especially given we spend so many of our waking hours amongst our work colleagues. After my husband died in 2011, I found myself unable to undertake my usual coaching/counseling work. Where before I had been able to work with clients back to back, suddenly just spending an hour with one would be enough for a whole day, or maybe two. Although I wanted to do more, my body would not let me – headaches which did not respond to any medication were only alleviated after I had laid down for a few hours. Given I had never had headaches before, this shocked me. I was also shocked at how long this went on for – months as opposed to weeks or days. It is easy to underestimate the effect grief can have, especially in a culture where death has become part of the medical establishment, instead of in the home or community, as was the case even not so long ago in rural Scotland. Now, Marie Curie studies show that 63% of people die in hospital and only 21% at home. At work, it may be known that someone is suffering a bereavement, but after the initial I’m sorry for your loss’, we continue as if everything were normal. To some extent we have to do this – life does carry on – but I propose that breathing space has to be given by the employer for the grieving staff member, and for much longer than is suggested at the moment. Therefore, the figures stated at the beginning of this article, of one in 10 employees taking only one day off work to grieve, are not surprising. However, grief can show up in many different ways – emotionally, socially, psychologically, behaviourally, spiritually and mentally. At work, this not only translates as extra time off work (most often unpaid), but also stress-related illnesses due to the bereavement, productivity levels going down, a higher incident of accidents, and efficiency being compromised. Even if the bereaved person chooses to cope by working more, the quality of the work will not necessarily be high enough. In other words, we cannot be bereaved and it not affect us in some way, even if that is many years down the line. All these effects are compounded by people perceiving dying, death and grief as an almost distasteful topic. Yet, my own research with Before I Go Solutions® has shown that when a safe space is provided, with someone leading a conversation, stories spill out, people open up, and many are relieved to find others willing to listen. Arguably, the more at ease co-workers are with talking about this elephant in the room, the easier it will be for the bereaved person to integrate, come to terms with, and finally, to move into the new life that has been, in many cases, visited upon them, whether expected or not. This has an equally important impact at work and at home. The thing is, grief is a normal part of life. That’s what we have to become more and more at ease with, and not only professionally, but personally too. Being alive includes death, which means that from time to time, loss of all kinds will happen. Even sometimes when a pet dies, that can be catastrophic. If we don’t begin to include it in our personal lives, how can it be fully included in the workplace? One relatively safe way to introduce the concept of dying, death and grief into the workplace is to have employees complete end-of-life plans. An end-of-life plan is much more than just a will, which is what most people think of when they consider someone’s death. A good end-of-life plan consists of a will, power of attorney, and your advance decision statement about dying (the document that states what treatment you would not want to have towards the end of your life; only 4% of UK people have this in place, despite it being more and more important as we live longer but not necessarily in good health). A full end-of-life plan also includes household arrangements, meaning your financial affairs, decluttering, how the household works, and taking care of your digital presence. Knowing what your wishes are for your final days helps those around you to carry them out, as does specifying how you want your funeral to be – if indeed you want a funeral at all (it is not a requirement – nor is having a funeral director). If you are self-employed or run or own a business, you will need to plan for who will succeed you and how – it’s a vital part of your organisation’s end-of-life plan. Finally, there is the case of what kind of legacy you want to leave behind, how you wish to be remembered, and what is important to you about a life well lived. When employees are invited to contemplate dying, death and grief within the structure of a course that supports them in completing end-of-life plans, Before I Go Solutions research shows that 57 per cent have reported being better able to have conversations about this topic (at work and at home). Significantly, 86 per cent felt more able to be around grieving colleagues, knowing what or what not to say. 100% stated they had been able to start or continue with their end of life plans. If I had died yesterday, what would the administrative effect be on my family? Think about the work that you do. If you were no longer here, how would it affect your workplace/business/colleagues? By being willing to face up to this now, before it is needed, you save your family and your business co-workers a huge amount of time, money and stress. In fact a good end of life plan is a great going away present, to your family and to your work colleagues. Take the free How Prepared Are You? 30 second quiz at the website www.beforeigosolutions.com. Chamber members are also eligible for a 20% discount on any place in a Before I Go Solutions online or offline course. Email for more info and details of how to get this jane@beforeigosolutions.com, or to speak to Jane about how your organization can benefit from these courses. 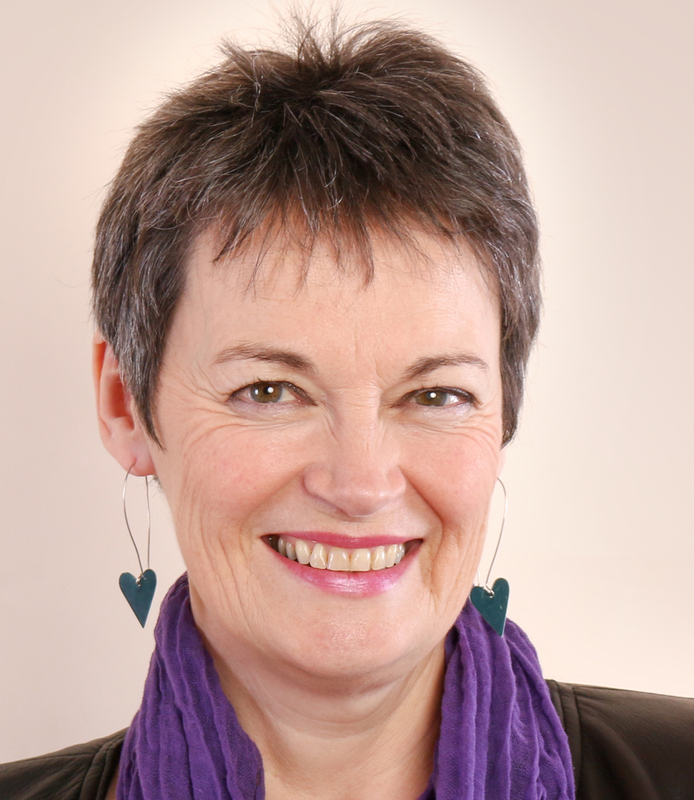 Biography Jane Duncan Rogers runs Before I Go Solutions, a social enterprise dedicated to helping individuals, groups and organisations feel more at ease with dying, death and grief, and to prepare well for the best ending of life possible by completing their end of life plans. Having been in the field of psychotherapy and personal growth for more than 25 years, she is also author of Gifted By Grief: A True Story of Cancer, Loss and Rebirth. Her forthcoming book Before I Go: The Essential Guide to Creating A Good End of Life Plan is due out in August. She sings in local acappella group Too Many Kooks, and loves walking in the woods by her house in Forres.